This is Day 6 of Publisher Week featuring Boroughs Publishing Group. Romance Lives Forever has been showcasing this publisher and its authors. Yesterday we visited with those yummy shape-shifting weres of the Red Ridge Pack. Today we take a journey into fantasy, where, in new worlds and alternate realities, everything is at risk for the ultimate prize - true love. 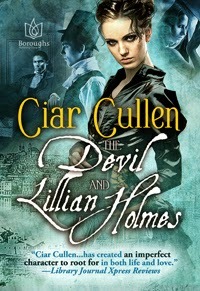 After losing her family to a tornado, the only thing that can help guilt-ridden Eve Cleary find peace is a nightmare come to life: a dangerous incubus whose masterful caresses have the power to grant her deepest desires. the prince. To save the pirate, Prince Petra must win her heart. At the cusp of the twentieth century, an heiress-turned-vampire and her maker seek her stolen daughter and find themselves caught up in a world of darkness, danger, and mystery. We cherish the wonderful creative minds that built these new worlds, brought determined tangible characters to life and drew us in to a universe we wanted to stay in for a very long time. Tomorrow, on our last day during our Publisher's Week with Romance Lives Forever - thank you, Kayelle - we're going to tug on your heartstrings. Love those excerpts! Thanks for hosting us this week. It's been fun visiting each day! I really like books with fantasy elements and these titles look great! Thanks for sharing! What a great week! Ecstatic to be part of such a talented group of authors! Entrancing excerpts! Enjoyed reading them. I absolutely love these kinds of books but couldn't write one of you put a gun to my head. Well done, ladies! What a treat!